Part of Montecristo's Linea 1935 release. 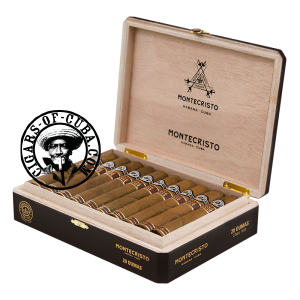 These cigars are set as the brands most premium offering. Its name comes from the Alexandre Dumas, writer of the famous novel "The count of Montercristo". Only the best tobacco from the Vuelta Abajo region are used to create these amazing cigars. Presented in a unique lacquered box designed to hold 20 of these cigars.